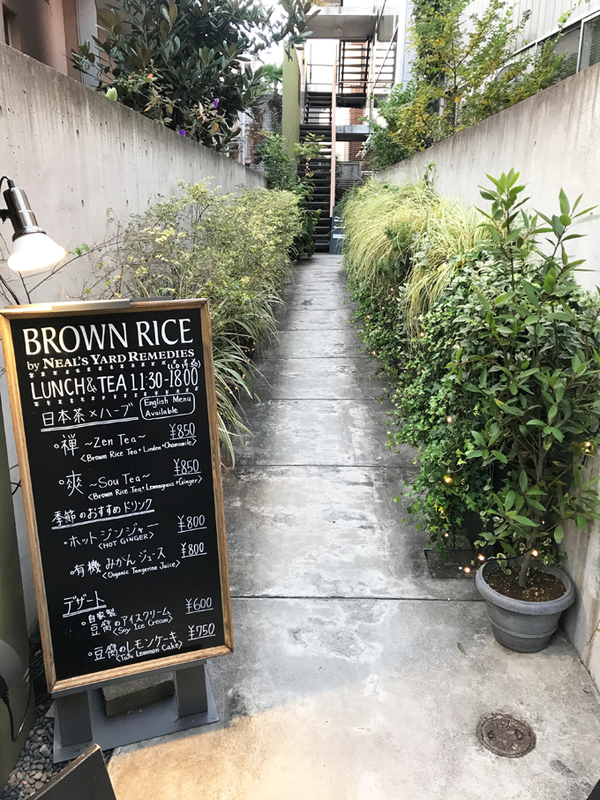 If you are walking around the Shibuya, Omotesando area, and would like to stop in for a healthy traditional Japanese meal, Brown Rice is the place to go. It’s part of Neil’s Yard Green Square and it’s attached to it as well. They are macrobiotic, vegan, and organic, with a beautiful ambiance. I ordered the seasonal set menu per the server’s recommendation. This set changes daily and includes one main dish, accompanied by three small side dishes of seasonal simmered vegetables, greens or seaweed. It comes with brown rice and organic miso soup too. 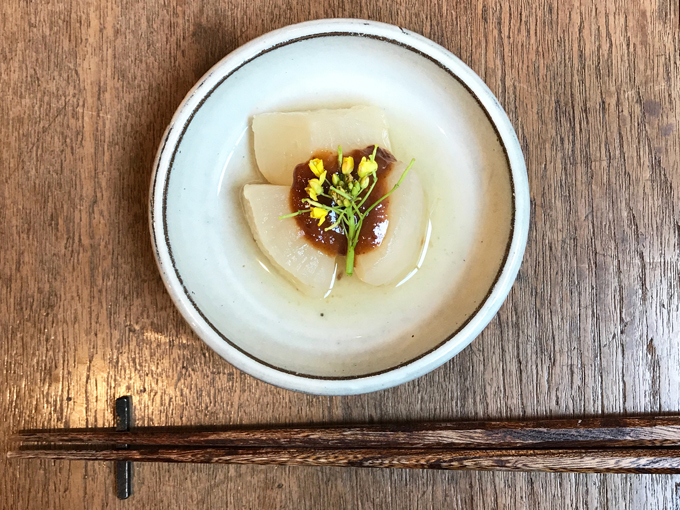 The appetizer served was Daikon (Japanese radish) with yuzu miso and Nanohana (the edible flower). I LOVE their beautiful presentation. My beautiful set meal: from the top left to right, bean and apple tossed with tofu cream sauce, baked tofu, kabocha (Japanese pumpkin), and Daikon (Japanese radish) with miso, braised spinach, mushroom, and hijiki. Everything was seasoned to enhance the vegetables themselves and to not be overpowering. A good very Japanese and macrobiotic meal. But if you aren’t into the subtle flavors of a traditional Japanese meal, then I would order the curry they have instead. I ordered the Kabocha (Japanese pumpkin) oshiruko for dessert. 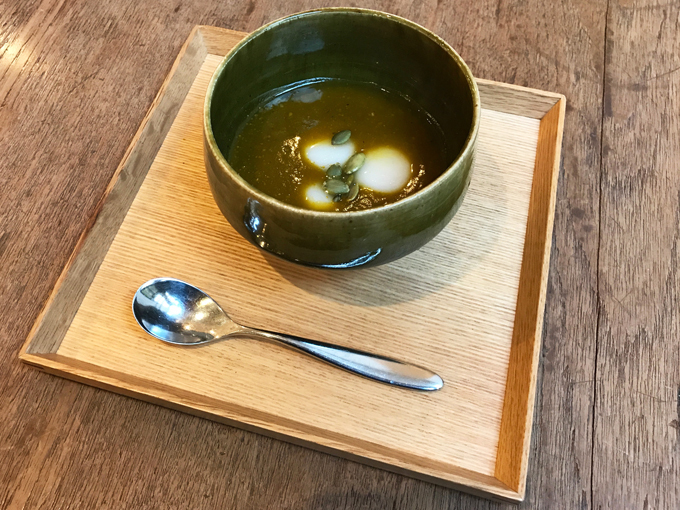 It’s pureed Kabocha soup with mochi, topped with some pumpkin seeds. Very subtly sweet, only using the sweetness of kabocha itself. Everything here was beautifully presented and very healthy. 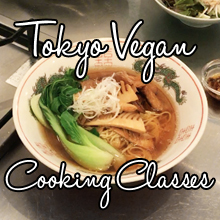 A clean plant-based meal, Japanese style.